While the tea gardens had placed Darjeeling prominently on the map of world economy, the romantic saga of toy train deeply touched the heart of people all over the world. And this story dates back to the 1800s. 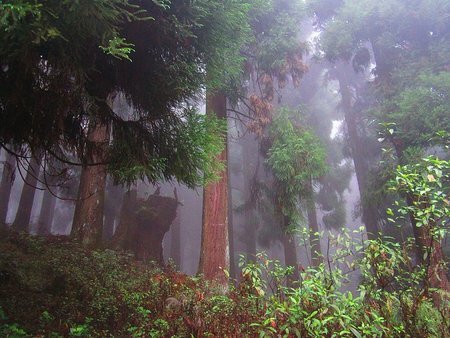 By 1870s, Darjeeling had already become a well known hill station and a health resort. India was then under the British colonial rule. Many Englishmen and their families, mostly from Kolkata would flock towards Darjeeling on vacations. As a result the traffic started increasing heavily in this part of the country. After all it was a beautiful scenic place with great weather. Initially for several years, it used to be a long tedious journey from Kolkata that took well over two weeks to reach Darjeeling. One needed to take 219 miles steam engine hauled train journey up to Sahibgunj. The train was run privately by the Eastern Bengal Railways (EBR). From here one needed to cross over the Ganges river by a steamer, then take a bullock cart up to a point for another river crossing, and then again a bullock cart all the way up to Siliguri for over 100 miles. From Siliguri, the visitors had to once again take a bullock cart or a horse carriage (Tonga) to reach Darjeeling hill town which itself took about two days. Subsequently, the privately owned EBR extended the lines from Calcutta up to Damukdia located at the southern bank of Ganges (Padma) river. Damukdia is now part of Bangladesh. This broad gauge line had a stretch of 119 miles. From Damukdia, one had to cross over the Ganges to Sara Ghat at the opposite bank. However the EBR refused to lay the lines from Sara Ghat all the way up to Siliguri. So the Government owned Northern Bengal Railways (NBR) had to lay 210 miles of railway lines on the opposite bank and finally completed the remaining stretch in 1878. From that time onwards the journey up to Siliguri could be completed in less than 24 hours, but the ascend to Darjeeling still remained a huge problem. 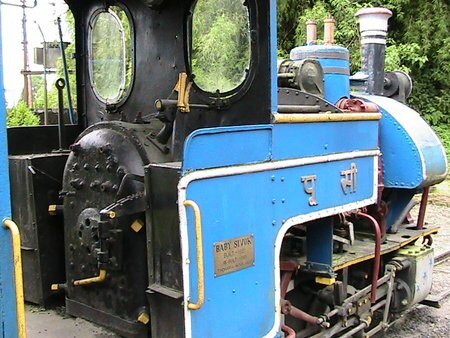 Neither EBR nor NBR wanted to take on the steep hills of Darjeeling. NOTE: A steel railway bridge known as Hardinge Bridge (also known as Sara Ghat Bridge) was constructed later in 1912 at Sara across the Ganges. This railway bridge was named after Lord Hardinge who was then the Viceroy of India. Trains started operating over the bridge in 1915 and eliminated the ferry crossing, thus further reducing the travel time significantly. 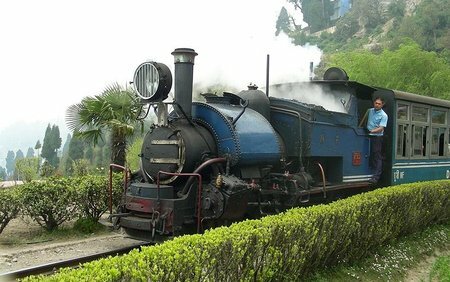 The genesis of the Toy Train in Darjeeling started when Franklin Prestage, an agent of the Eastern Bengal Railways first visited Darjeeling in 1878. He felt the real need of a railway that would connect Siliguri with Darjeeling hill station. Franklin submitted a proposal to the Government for a privately run train to the hills that would run on a 2-foot wide track (now known as narrow gauge) mostly in parallel to the Hill Cart Road. His proposal mentioned many advantages, the main one being without the railway connection, the travel cost was so high that rice in the hills would cost about 2.5 times more than the plains. The proposal was actively supported by the Lieutenant Governor of West Bengal (Sir Ashley Eden) and was readily accepted by the government. Next year in 1879, the government allowed the formation of the private company Darjeeling Steam Tramway Company to privately own and run the steam engine hauled trains to Darjeeling. The railway and track construction work began in the same year. However the name of the company was changed to Darjeeling Himalayan Railway (DHR) Company two years later (i.e. in 1881). It was an extremely difficult job to lay the lines along such steep gradients of the hills. Those days, there was no other examples to draw upon. The sharpest curve along the track has a radius of 69 feet, and the average gradient (slope) is 1:29. Some great innovative ideas eventually resulted in great engineering marvels of all times and solved many problems. I'll come to that in a short while. The trains later became known as toy trains as the loco engines and the coaches were far smaller than normal broad gauge trains. But there was no such thing as toy railway construction. It was like any other proper railway project, but much more complex because of the terrain. 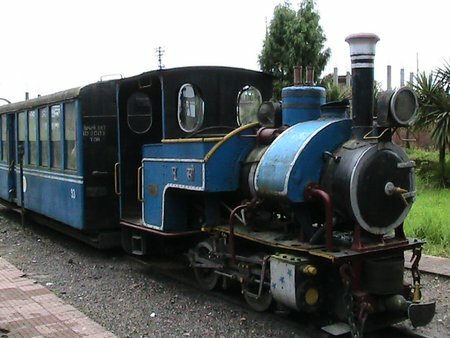 The narrow gauge line did restrict the weight and size of the engines. The steel tracks weighed some 18.6kgs per yard and were laid on wooden sleepers. By March 1880, the first stretch of 31kms between Siliguri Town and Tindharia was completed. By August 1880, the next 21kms stretch up to Kurseong was done. By February 1881, Sonada which is 15kms away was also linked. And by April 1881, the Darjeeling Himalayan Railway reached Ghoom further 10kms away and at an altitude of 7,407 ft which still remains as the highest railway point in the whole of Asia. And on 4th July, 1881 the last stretch of 6kms too was completed and the toy train rolled into Darjeeling with great pride, a major milestone was finally achieved. The original track distance was 83kms. Later the line was extended from Siliguri up to New Jalpaiguri by 5kms. For the end-to-end run between New Jalpaiguri to Darjeeling, the steam locomotives have now been replaced with diesel locomotives for better speed and efficiency. The earlier steam engine hauled toy trains took nearly 10 hours to complete the journey. Check out Toy Train Route to get a complete description of the DHR route and the experience of the journey as you move up from the lower plains towards the Himalayan grandeur. On March 4, 1881, the Viceroy of India Lord Lytton inaugurated the Darjeeling Himalayan Railway by riding the first leg of the journey from Siliguri to Tindharia. He was accompanied by his wife Lady Lytton who was known to wear highly fashionable hat. The main man behind implementation of such a novel railway was Franklin Prestage, the agent of Eastern Bengal Railways who moved the proposal to the government. If you ever visit the cathedral at the Loreto Convent School of Darjeeling, you will see a plaque that has inscription memorializing him as the "Founder of Darjeeling Himalayan Railway Company..". This plaque was laid by his widow and children when he died on 18th October 1897 near Simla. Now coming to the engineering ingenious in laying the Darjeeling Himalayan Railway tracks along the steep mountains. There were several innovative engineering designs used. However three such ideas stand out from the rest. One of the major problems was the steep gradients at several places which the trains could not simply negotiate. A great engineering feat was to create a double loop at Chunbhatti and a single loop at 'Agony Point' to gain height at ease. The same design was later extended to create the famous Batasia Loop to negotiate a steep descent. The second great idea came up while encountering unmanageable gradients where even loops were not possible. The frustrated contractor Herbert Rumsey who was laying the railway tracks shared the problem with his wife while ball dancing with her. And she innocently replied "If you can't go forward, why don't you go back darling" meaning that a reversal is permitted in a ball dance if one gets tucked into a corner. This simple idea resulted in the creation of Z Reversals or Zigzags. The train goes several yards backwards and then takes a run up along a different higher track to gain elevation. There is another romantic version to the above idea. In response to a husband's letter who was a construction engineer at the Darjeeling Himalayan Railway, the wife wrote back "If you can't go forward, come back..". She actually meant that if he couldn't move forward with his job then it would be better for him to get back to England. Many say that this letter served as the genesis of zigzags. The third amazing fact was that no tunnels were created through the mountains. Although after the 1934 earthquake a small tunnel had to be created near Chunbhatti, that too was abandoned after the 1968 landslides. By 1944, the Darjeeling Himalayan Railway (DHR) had 39 steam engine locomotives in working condition and a workforce of over 2000. The DHR workshop at Tindharia had 17 lathes and many other machines that could handle all types of technical problems and maintenance of the engines and the coaches. However, much of that is now gone. In fact those days the DHR had a great soccer team known as TREFA which too was later disbanded. After India's independence, it was known that curtain was to come down on the private ownership of Darjeeling Himalayan Railway. On 20th October 1948, DHR was bought out and taken over by Government of India. James Shaw was the last English General Manager of the DHR. Although most of the Englishmen working in the DHR were offered jobs at one third of their earlier salaries, none took up the offers. On 15th January 1958, the DHR was handed over to Northeast Frontier Railway (NFR). On 2nd December 1999, UNESCO conferred the World Heritage Site status to DHR which became only the second railway in the world to receive such status. Total track length of DHR: 88 kms. So now you know why Darjeeling Himalayan Railway or the "Toy Train" as it is fondly called, has been the romantic heart of Darjeeling and its people. It has always been a joy to residents and visitors alike since it rolled into Darjeeling on 4th July 1881. If you want to soak in that joy and like to ride the train, then check out DHR Toy Train Rides & Services to know all about the joy rides and regular services of DHR. Dear Raj, My father was James Shaw the last English GM of the DHR and Terry Martin's Iron Sherpa books are dedicated to my mother who spent many hours talking to her before she died. I was born after my parents returned from India but have grown up with the stories of their lives and of my father's with the railway and want to plan a visit next year. The DHR Head Office was in Kurseong (about 50 kms from NJP/Siliguri, Darjeeling is further 31kms from there). DHR General Manager's house was in Kurseong, about a kilometer from the station and above the Hill Cart Road. Other Senior DHR officials also stayed in the same area. So I suggest you start from Kurseong. 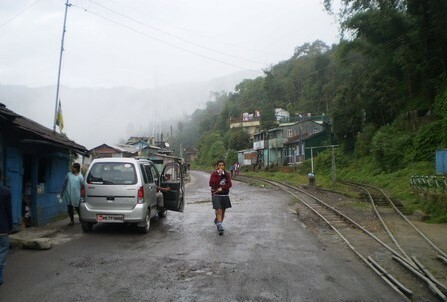 Note that just before Kurseong at a place near Mahanadi, a section of the Hill Cart Road and the railway track was wiped off due to landslides in June 2010. It still remains unrepaired. In June 2011, heavy rains destroyed the repairing work done till then and on 18th Sept 2011, a massive earthquake again caused a huge landslide & a damage at the same point. I was in Darjeeling on Sept 18, 2011... it was a scary time. So from NJP station or Bagdogra airport, you will need to take a detour (via Punkhabari) to reach Kurseong. You mentioned about a museum. The DHR Museum in Kurseong has come up at the Kurseong Station on the first floor... Not at the General Manager's residence. But I doubt if any of the DHR officials' houses would still exist, because Kurseong has been swamped with schools. Large number of schools have come up over the years occupying every free or unused land area and demolishing many old structures. But a Roman Catholic Church here where most of the English went for services still exists. There are couple of schools you should visit .... The Victoria Boys School and Dow Hill School where children of most DHR employees and government officials went for education. Just below the Railway station and along Punkhabari road, the Railway Offices and Kurseong Club (then known as Amusement Club) were located. The club was the place where the DHR officers and their spouses went for evening entertainment. It had tennis courts, ball room, card room, library etc. It no longer exists as a club. Visit the DHR Museums at Kurseong as well as at Ghoom (on the way to Darjeeling). There is one more at Sukna which you can access from NJP/Siliguri. There are lots of history, pictures, paintings and artifacts kept at these museums. The Ghoom museum has items that were donated by the DHR employees of British days. While in Darjeeling, you may like to take the Heritage Walking Tour. You will know a lot about life in Darjeeling during British days, particularly about Tea Planters... if that's of any interest to you.